CINCINNATI, Ohio – Cadillac Plating Corporation has been named one of the best finishing shops in North America, according to an industry benchmarking survey conducted by Products Finishing magazine, a trade publication which has covered the industry since 1938. 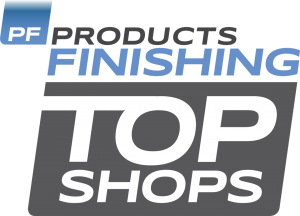 Only the top 50 shops were given the honor of being a Products Finishing magazine ‘Top Shop’ based on a scoring matrix in those four criteria. Cadillac Plating Corporation is located at 23849 Groesbeck Hwy Warren, MI 48089, and offers Zinc & Zinc Iron Rack Electroplating.